The current agile software development methods do not seem to address usability and interaction design issues enough, i.e., the interaction design process may remain implicit. 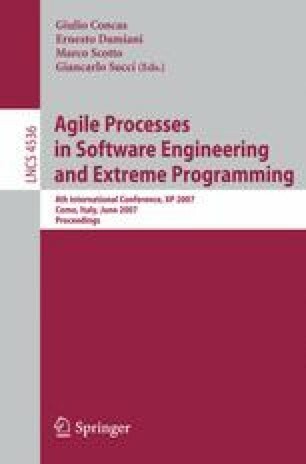 However, few studies with positive results have been conducted concerning integrating explicit interaction design process into agile software development. In this study, the interaction design process of Mobile-DTM is extended with the personas approach. Empirical evaluation of the resulting model is performed in a case project. The results provide view points for both industrial and scientific purposes on the applications of interaction design activities in different stages of agile development process.